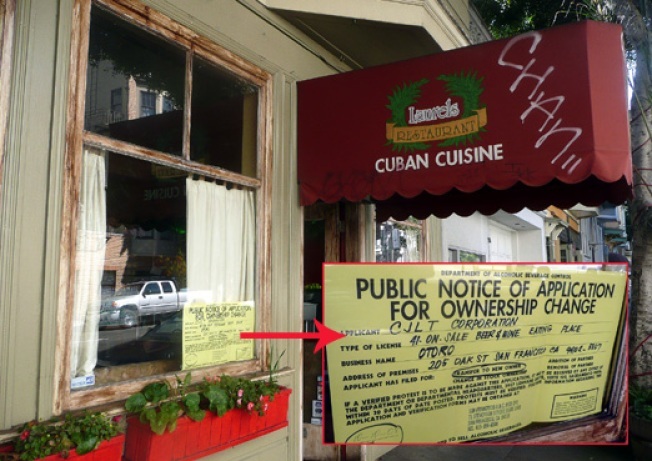 Plywood Coda: More Sushi For Hayes Valley? Hayes Valley: The last two years or so have seen a pair of very fine sushi joints debut in Hayes Valley in the forms of Sebo and Domo, and here we have what could be a third neighborhood sushi joint. We know that Laurel's has been on sale since forever, and from the looks of the notices and assuming the sale goes through, Otoro will be moving in, which we'll assume is either a restaurant of the Japanese ilk or a Sudanese one. We will say that Otoro has its work cut out if it's going to hang with Sebo and Domo.